New VIP Communities – Jackson Woods and Ambleside Meadows! Lots of exciting news from my friends at M/I Homes this week! 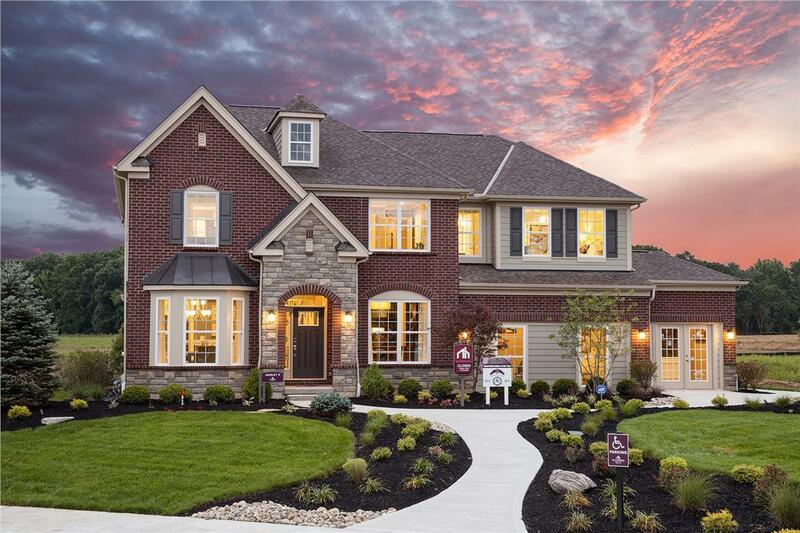 They just announced, not one, but TWO new communities: Jackson Woods in Loveland and Ambleside Meadows in Mason! You know who found out about them first? Everyone on the M/I Homes VIP list! Click here to make sure you’re on this free VIP list to get all the latest updates on these VIP communities and more! I did a little digging and put together the overviews below of both areas where the new communities will call home (and you could, too!). Seriously excited for both of these! It’s only appropriate that “woods” is in the name of the new Jackson Woods community because that’s exactly where it’s nestled: a beautiful, wooded setting. The community of new homes is located right off of Wards Corner Road in Loveland, Ohio with easy access to I-275, so you can feel like you’re away from it with easy access to all the amenities the city has to offer. If you and your family love to spend your free time outdoors, this is the place for you because you’re super close to golf courses and bike trails to parks and rivers. Hit the course at Oasis Golf Club and Hickory Woods Golf Course or spend your weekends being active at Lake Isabella Park, the Loveland Bike Trail or even rent a canoe with my friend Dirk over at Morgan’s Canoe Livery. Better yet, you don’t even have to leave the community to get your fresh air fix, as Jackson Woods community includes a pond with a fountain and a pocket park to enjoy in a suburban setting with 10.6 acres of open space to enjoy. Several lots back up to the woods for privacy and exploration. This beautiful community is located within the Loveland School District that features a Primary School, Elementary School, Intermediate School, Middle School, and a High School. I learned from their Internet Sales Associate, Laura, that they are offering a gorgeous series of homes called the Premiere Series, which offer a ton of gorgeous options already included in your home. She also mentioned that there are going to be 35 homesites available, with two cul-de-sacs, and they are expecting this community to sell quickly! It’s funny, I was JUST in Mason waiting for my Kroger Groceries (the Mason location is one of the few locations where you can order online and pick-up curbside without even having to get out of your car), thinking about how cool of an area it is, especially for young families. In fact, my friend Kristen founded a site called “Masonmetu” a few years ago and it’s filled with things to do, places to go, where to eat, events coming up, etc. in the area. If someone’s full time gig is trying to keep up with all the fun things to do and places to go in your area, you know it’s good! Ambleside Meadows is a community of new homes is located in Mason just minutes from LOTS of family fun places like Kings Island, the Beach Water Park and Great Wolf Lodge. It’s located off of US 42, so it’s near 741 and I-71, making it easy to get anywhere that you need in and around Cincinnati! You’ll love the convenient location and the proximity to shopping (Deerfield Towne Centre is just minutes away! ), dining and entertainment throughout Mason, Ohio. Parks and golf galore, too, as you’re right down the road from Mason Sports Park, Heritage Oak Park and Four Bridges Golf and Country Club. Lots of large corporations call Mason home, too — like Proctor and Gamble, Cintas, Luxottica and Children’s Hospital – so your commute could be a snap! Ambleside Meadows will feature new homes in Warren County that are a part of the Mason School District. With the convenient location, amazing school system and access to everyday needs and amenities, this community is SUCH a fab find! The Warren County-based Ambleside Meadows will be in a gorgeous community that will include a clubhouse, a community pool, pond and nature trails that run throughout the community. It will feature new single family homes that will include 60′ wide home sites with cul-de-sac homesites available as well. There will be 122 homes available from M/I Homes and are expected to sell quickly! Join the VIP List today to get information about these homes as it is released! I know these communities really peaked my interest. If you’re interested in learning more about Jackson Woods or Ambleside Meadows, please call Laura at (513) 268-8460 or email her at salescinci@mihomes.com. She’s super helpful and helped answer all of my questions!